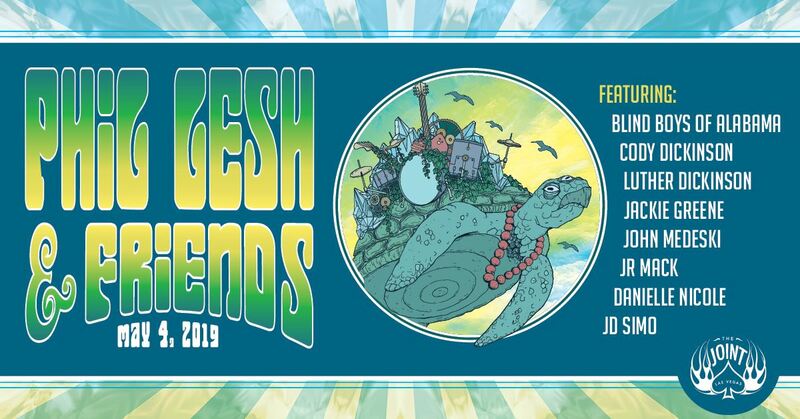 We have the pleasure of promoting the Phil Lesh and Friends show for the Hard Rock - Joint. We will begin the lottery for One of 20 complimentary tickets for PAID LVJBS members today. Should we not have enough members register it will be opened to Friends of LVJBS. We want you to share our Facebook event for this show and tell your friends. The initial lottery will end on Friday, April 19th and the winner, if the lottery is not extended, will be announced on Saturday April 20th. The winners names will be on a Joint Will Call List on the night of the show.